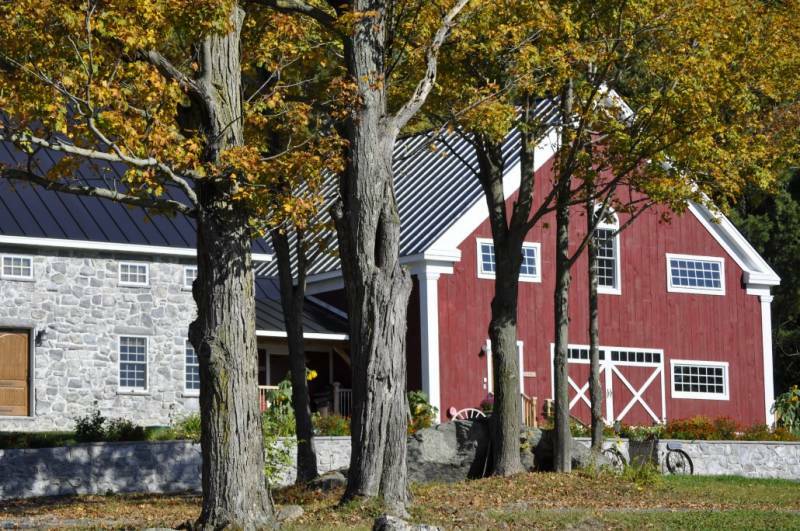 One of Vermont's newest wedding barns, The Inn at Grace Farm barn timber-frame is harvested from the surrounding 100 acres overlooking rolling hills and layered sweeping mountain views. 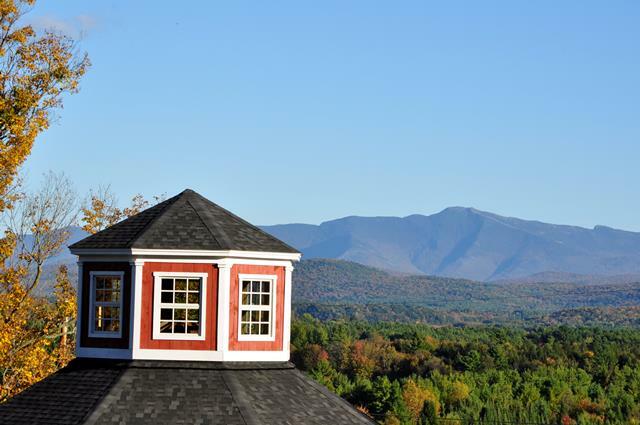 Located just 25 miles north of Burlington, we recognize that Vermont itself is our greatest asset and have over 150 square feet of windowed views from inside the barn! 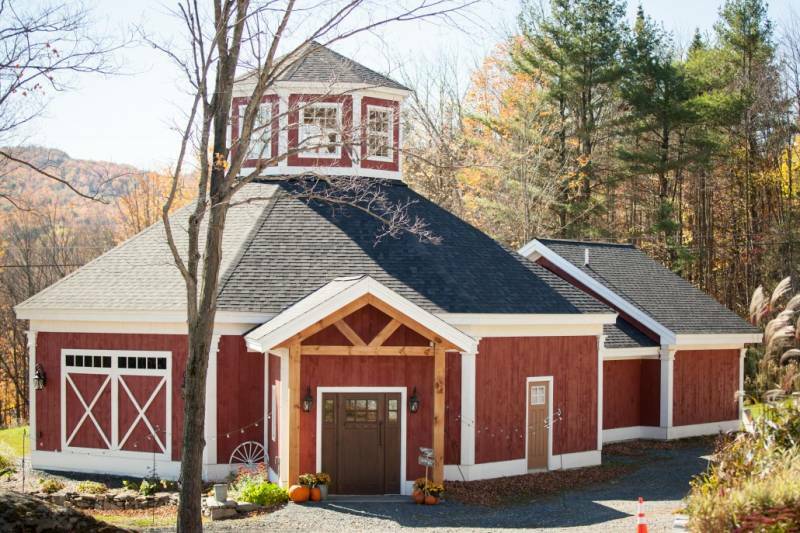 The year-round radiant floor heated barn hosts weddings of up to 110 guests or incorporate a tent for 160+ guests. Come enjoy the scenic vistas, incredible surroundings and comfortable rooms for your special day. On-site accommodations for your friends and family allow you to rent the entire estate of 9,000 square feet for barn, inn, and stone house, 9 beds, 8 baths and our newest "tiny house" allows up to 32 guests. You have been dreaming of this day and have a vision that is uniquely you. The Inn at Grace Farm allows you to orchestrate your event with your chosen caterer, bar service choice, decor, D.J., and photography. 2015 Travelocity - "It's hard to imagine a lovelier setting"